The Owl Ride is a fun, nighttime bike ride event that helps raise funds and awareness for adults with disabilities. 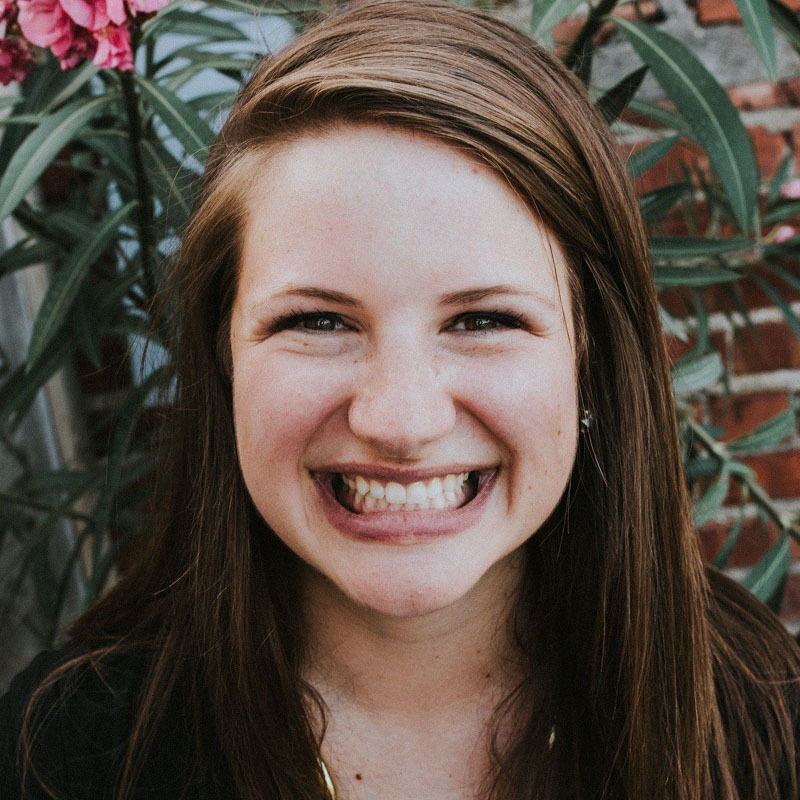 The Meyer Foundation for Disabilities (MFD) reached out to Fruitful in early 2015 to help rebrand and promote their event. 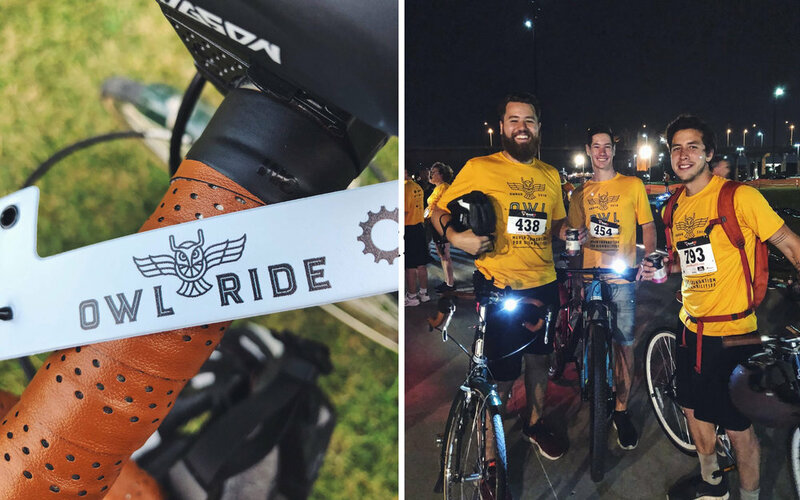 We have now assisted in the design and promotion of three Owl Ride events – and a handful of our team members have enjoyed participating in this fun event! We helped refine their logo to be a simple, iconic owl made up of bicycle spokes and handlebars – with slight adjustments to color and font from year to year. 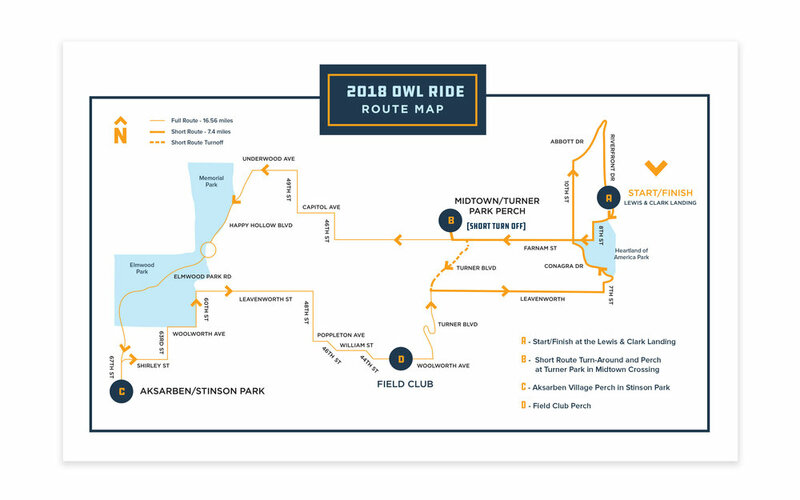 For the 2018 event, there was a fun addition to the Owl Ride brand-scape: an adorable “Owlet” logo. 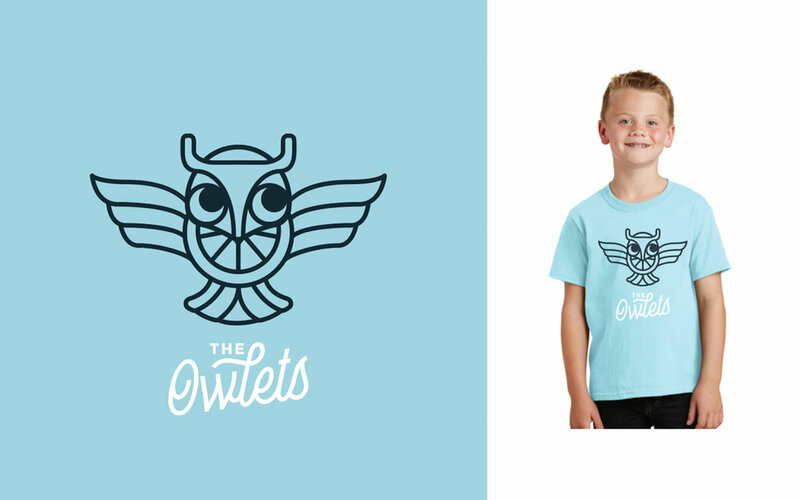 For the first time there would be a small ride geared towards children before the actual ride – and they wanted us to design a cuddlier version of the now iconic Owl Ride mascot. We had a blast with this one!